Education is some of attitude and behavior changing process of a person or a group of people; it is some process of mature human being through the efforts of teaching and training. 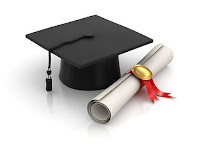 One of the ways to reach the goals of education is going to school, and tertiary school is one of a formal education after the secondary school, it intimates with university or college. 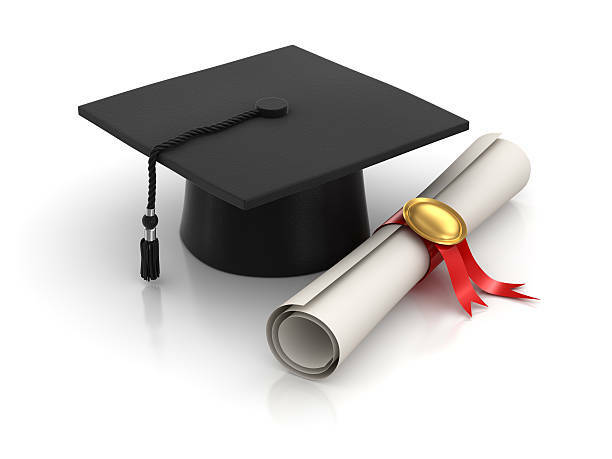 Tertiary education refers to any type of education pursued beyond the high school level. This includes diplomas, undergraduate and graduate certificates, and associate's, bachelor's, master's and doctoral degrees. Nowadays, an institution of tertiary school can be found everywhere. People are going ‎to a university or college with many differences goals; they come with a hope that they will have ‎some competences in a specific skill. On the contrary, there are people who stated that going to university or college is not important; those people chose to get a job early than continuing to a college. ‎ Behind both pros and cons, of course there are many reasons that should be considered. Talking about going to a university, means we have to pay for the tuition and it’s inevitable that many of these cons are related to money. They said that even going to college could give many experiences but it is too expensive that not everyone could pay it because the tuition costs are skyrocketing. Since 1990, just 24 years ago, the price of a four-year institution has soared 300%. That is an eye-popping number to be sure. According to the classic investment theory that describes the decision to attend college, individuals considering returning to college investment cost, such as tuition immediate feedback and direct as lost earnings while in college. From the theory above, if the difference between the benefits and the costs were larger than the present value of a prospective student’s lifetime earnings without attending college, the individual would attend a university. That is, if everyone were to follow this simple investment model, we could say that those who make the decision to attend college believe that the present values of the benefits exceed the costs and that the investment is optimal. A 2009 study of how debt affects school enrollment and career choices analyzed an experiment conducted by the New York University School of Law to test how entering students reacted to different types of financial aid. The university randomly offered students one of two distinct options: loans and tuition waivers. For entering students who were offered a loan, the university agreed to repay the loan if the students accepted employment in the lower-paying legal public sector upon graduation. Entering students who were offered the tuition waiver were obligated to pay the tuition at graduation if they did not accept employment in the public sector. The two aid packages were equivalent in monetary value and differed only in that the students who were offered the loan were considered to be in debt while they were enrolled in the law school. The study mentioned before, found that students who had their tuition waived were more likely to enroll in the law school and, once there, were significantly more likely to take a job in the public sector. Most high school students have no experience with debt, and many want to avoid incurring thousands of dollars of debt, even though they may eventually reap a significantly positive net return from the investment. Even in the absence of formal credit constraints, some individuals may be averse to holding debt. That is, even though prospective students would be able to borrow the amount they need to finance college, they may be unwilling to do so. The two reasons for attending college that are foremost in people’s minds are increasing one’s earning potential and sharpening one’s mind. Unfortunately, the benefits of higher education on one’s mind have been shriveling as well. Another of the benefits is that college prepares us for the real world and helps you develop into a mature adult. Nevertheless, cons argued that college doesn’t necessarily prepare you for the real world and the job market. Attending college isn’t necessarily prepare the graduates that it’s always been made out to be. While it’s assumed you’ll be a better critical thinker, problem solver, philosopher, etc., those benefits don’t automatically accrue simply by sending in your tuition check. Although the pros said that going to college make us better to competent in a specific skill, the cons said that it is a lifetime wasting, a specific skill could be learned immediately in a real life. One study from 2011 found that about half of college students see no improvement in their problem solving, reasoning, or writing skills in their first two years, and over a third see no improvement during the entirety of their college experience. Sure, the environment can lend itself to growth, but attending college without vigorously applying yourself won’t magically sharpen your cognitive powers. However, individuals differ not only in background attributes but also in how they respond to a particular treatment. The pros rebutted it. Some people who argued that going to a university is important said that education has become something crucial in developing a country. Usually, a country judged as a developed country when a country can compete with the other countries in some competitions includes education skills, which refers to a high education and it is tertiary school. Education has many positive impacts in our life. As we know, even it is taking a long time in adults’ life; the appearance of community colleges in the higher educational system has played, in part, a positive role without doubt. Researchers who assert the contributions of community colleges in American higher educational system emphasize that those institutions have provided a special opportunity to adolescents who might not otherwise experience postsecondary education, and their assertion has been supported in many empirical studies (Kane & Rouse, 1995; Cohen & Brawer, 1996; Grubb, 1997). Also, a number of studies show a positive impact of tertiary-level study on graduates’ capabilities and the strengthening of institutions (both formal organizations and social norms). Impact was shown in areas of health, nutrition, gender equality, ‎democratization and the environment. What about the tuition? I think it can be helped by finding scholarship programs, seeing that there are so many scholarship programs nowadays. Understanding how advances in technology increase the premium of universities can explain that higher education is highly valued in the labor market. If technological change increases relative earnings for college graduates, it can be possible that the relative demand for their skill will be increased which refers to the finding job easily. Under this theory, secondary graduates do not have superior routine, abstract skills that can be useful for problem solving, multitasking, and creativity as community colleges offer technical and occupational training and certificates of competency in some fields. Individuals with no more than a high school diploma are still get the increasing demand from the labor market because their manual skills are needed and the employment opportunities that require these skills have also been expanded. However, as the qualifications is necessary for performing manual tasks which often do not extend beyond a high school diploma, there is a large potential supply of workers who can perform these tasks. Therefore, those people argued that going to college is important that we could have good competences, experiences and also relations before going to do a job. There are many experiences, which only we can get when going to a college. In addition, we will get a degree as a title in getting a good job and having a good income. It is well documented that college-educated adults earn more than their high school educated peers and that the difference has been growing over the past few decades. 17 According to a study by the Georgetown University Center on Education and the Workforce in 1999, an adult with a bachelor’s degree earned 75 percent more over a lifetime than a high school graduate by 2009, the premium had grown to 84 percent. Although college graduates generally earn more than those who have only high school degrees, their earnings have a variety in all job opportunities. Compared with the potential benefits of attending college, the financial aid form wouldn’t be expected as the barrier to attend college if individuals were making straightforward decisions for the optimal investment. The appropriate way to assess the cost of college is as an investment to be paid for over time. Just as with a housing property, the primary question is not the total price of the property. Nevertheless, whether the buyer can support mortgage payments over the long run with enough resources left over for other necessities. It can be seen that there are reasons for and against going to university being considered as an important thing. After looking at both sides, I still believe that tertiary education is important but it is an options for us to take it or not. So, when we can go to a college and we have so many chances to go, why not? In response to the purpose of developing country, colleges and universities, together with state governments and secondary schools, must develop financing structures that will both maintain quality and increase access for students from lower-income families. A small intervention can make the difference between individuals going or not going to college confirms that not all prospective students follow the straightforward investment model when making the decision whether to attend college. However, as mentioned before, college tuition is available for everyone. Finally, from all of the available evidence, we believe to suggest that before reaching a decision about college, a university student candidate must give a careful consideration in selecting the institution itself, the major to follow, and the eventual occupation to pursue. For any particular program at a particular school, future earnings, the years spent in college, the costs, and the value of any student debt, should be a considered factors. As difficult as it is, making such an assessment before reaching a college decision is key to make a good choice. Oreopoulos, P., & Petronijevic, U. (2013). Making College worth It: A Review of the Returns to Higher Education. Toronto: Sage. Haveman, R., & Smeeding, T. (2006). The Role of Higher Education in Social Mobility. Branda, E. J., & Xieb, Y. (2010). Who Benefits Most from College? Evidence for Negative Selection in Heterogeneous Economic Returns to Higher Education. American Sociological Review. University of California-Los Angeles: Sage. Park, S., & Pascarella, E., T. (2010). Community College Attendance and Socioeconomic Plans. Community College Journal of Research and Practice. Notre Dame-Indiana. Taylor & Francis Group, LLC. Abel, J., R. (2014). Do the Benefits of College Still Outweigh the Costs? Current Issues in Economics and Finance. New York: Sage. Coleman, P., D., Walker, R., & Lawrence, L. The pros and cons of education budget cuts: An investigative study. Research in Higher Education Journal. Sage. AABRI Journal. Otto, E., P. Success and Failure in Tertiary Education, with Reference to School Attended A Re- Examination. Australian Journal of Teacher Education. Australia: Capricornia Institute of Advanced Education. Oketch, M., McCowan, T., Schendel, R., sc. (2014). The Impact of Tertiary Education on Development. Education Rigorous Literature Review. London: Sage.